University is just another adventure on your path, and as fun as it can be, it can feel quite overwhelming too. We each react to stress in different ways, but today I’d like to share my story, because maybe some of you will find it relatable and helpful with your own uni experience. Moving to a different country to study was a dream come true for me, but also a huge challenge. The most important step I took was on the very first day at university where I overcame both the shyness and anxiety that have followed me all of my life and actually went to talk to new people. I took a few deep breaths and started talking to people sitting next to me during the opening lecture – it wasn’t as easy as it sounds! But it made me feel powerful – I finally managed to get outside my safe zone. 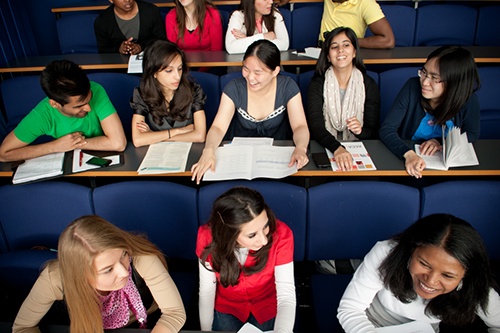 And that exactly is my first bit of advice for you, new students – forget your comfort zone. 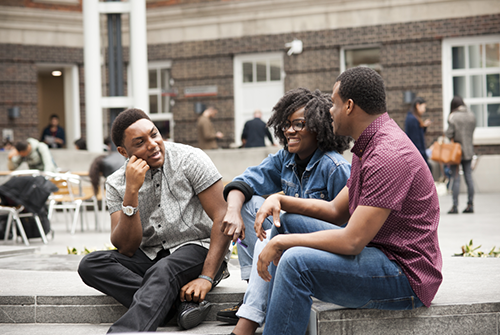 Start chatting with people, share your story– ask people where they are from, why did they chose this course, what do they think of uni, etc.. After all, you’re all in the same position. There are so many opportunities during the first few weeks to meet new people – for example, in most of your first classes most professors will ask new students to introduce themselves. After three years at university, the most useful thing I’ve learnt is to always express my feelings and not be afraid to talk to people. Do you have a problem you can’t overcome? Ask for help. Do you feel like your mental health is not balanced? Start talking about it, people are more genuine than you think and will help you find a solution to it. Not sure how to get the assignment done? Email your professor. There is no shame in asking for help, no matter how small the subject is. Getting help online can also be helpful, but it’s important you are look at verified sites – official university websites and charities like Student Minds, for example. They offer perfect guides for new students who may feel a bit lost and in need of guidance. I loved how Student Minds put together guides with literally every aspect of university life – from the subject of settling in to money issues, identity issues, exam stress and mental health. Links to those guides can be found below, so feel free to check them out – I honestly found them extremely beneficial. 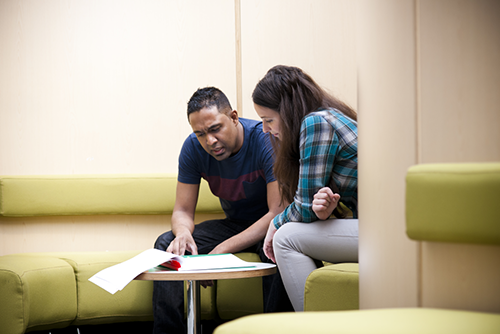 It is important to remember that you can always find support – if you don’t feel like talking to your friends or family, you can get in touch with the university's Welfare Team .